Started in 2013, StartmeupHK Festival will be held in January 2017 to celebrate and showcase Hong Kong vibrant startup ecosystem, which is also considered as a great event for startups in the city to showcase their business idea and mingle with possible business partners and investors in the region. StartmeupHK Festival 2017 is a one-week long festival that featured keynotes, hackathons and talks from seasoned founders and investors in the region. 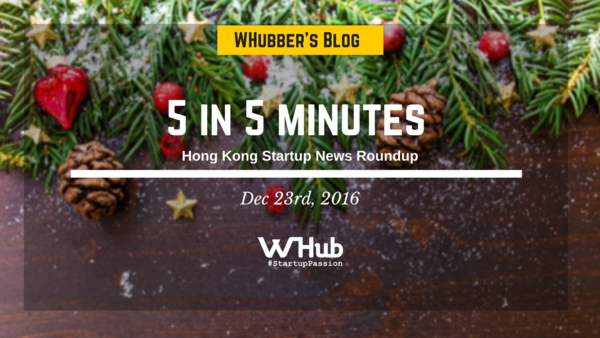 Some of the exciting events include HealthTech Asia, FinTech Finals and StartmeupHK Venture Forum. 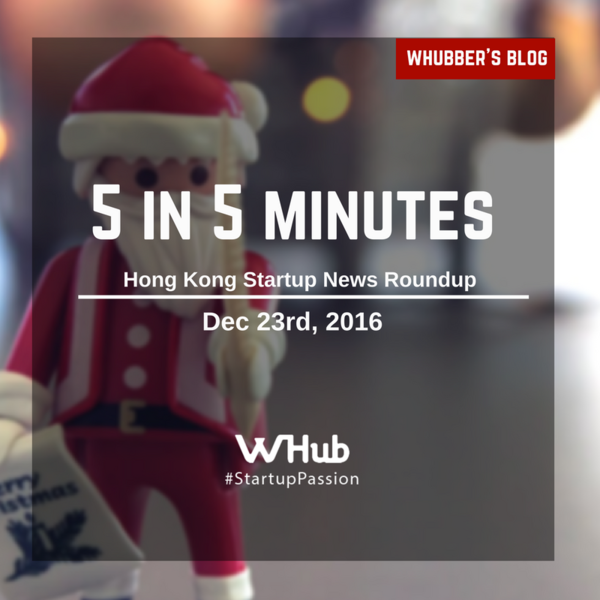 W Hub is proud to collaborate with InvestHK to host another HK Tech & Startups Job Fair. 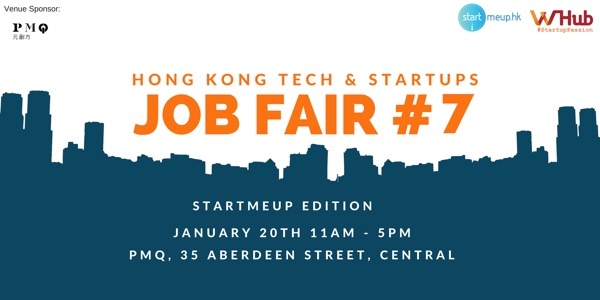 The job fair aims to connect talented job seekers with the best HK-based startups. This event will bring together undergraduates, graduate students, and seasoned professionals to one event, exclusively for startups. Click here to know more about the job fair. And for talents, register here for free! Hong Kong-based logistic startup Easyship has raised an undisclosed amount of pre-series A funding from 500 Durians, 500 Startups' fund for the Southeast Asia market. Easyship also announced its penetration in Singapore. The money raised will be used in the company's operation in Singapore as well as for the expansion to other Southeast Asia in the future. According to Deloitte China's National Public Offering Group, Hong Kong comes first in terms of the total initial public offering (IPO) funds raised at the end of 2016, closely followed by Shanghai and New York accordingly. The Taipei-headquartered artificial intelligence company has raised US$19.5 million in Series B funding from Pavilion Capital International Pte Ltd, WI Harper Group, FirstFloor Capital, and Qualgro. The round of funding brings Appier's total funding to US$49.5 million to date. The company also announced its pilot launch Aixon Platform in Taiwan, Japan and Singapore. Beijing-based offline marketing service provider Spearhead Integrated Marketing Communication Group has acquired Smaato for US$148 million, opening doors for Chinese brands to run international mobile campaigns as they expand the business out of China.